Dandelion Education Discussion Blog: On Photographic "Family Books"
I was very energized by today's meeting; a great many of my anxieties, fears, and frustrations were addressed today (as a parent, as a duty-parent, as a co-op member), and I'm optimistic that we can use the very positive and creative energy to move forward, together, in wonderful and unexpected new ways. The teachers also take photographs of the parents and children working together in the classroom. These photographs become part of a panel that welcomes the families to school in the fall. Connections are also made through the "family books." Each child receives a notebook that contains a welcoming letter from the teachers along with their picture. It also has blank pages with questions designed to give children and parents a way to tell their family's story. There are pages to tell about relatives, pets, family activities, and celebrations. These family books begin a strong connection between home and school. The parents understand, from the start, that their voices are valued. It is an acknowledgment that parents are children's primary teachers and that we, as new teachers of these children, can learn a great deal from the parents. On the first day of school, there is a special place in the room for the family books. The pictures of their family and familiar activities help children to feel more comfortable in their new environment. It gives them something tangible to hold on to when they are thinking about their parents. 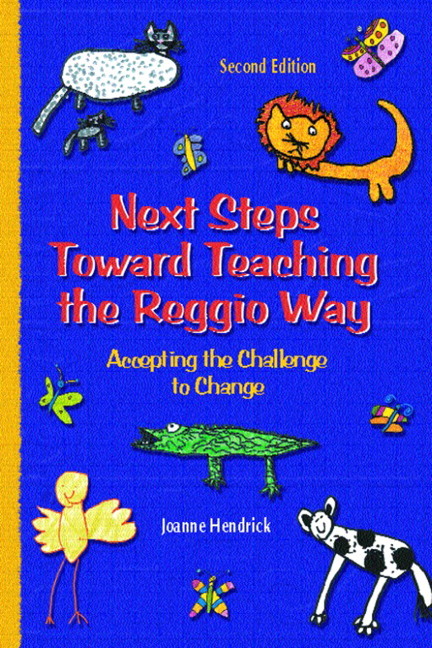 These books also give the children a way of making connections with each other. For example, one day during the first few weeks of school, Emma, a 3-year-old, was on the rug looking at her family book. Keith, another 3-year-old, walked by and saw a picture of her dogs. He ran to the shelf and got out his family book. He brought it over to Emma and showed her a picture of his dog. They talked about big dogs and little dogs. The next day, building on the connection they had made through their family books, Emma and Keith played in the house together, pretending to be dogs. These interactions served as the foundation of a deeper relationship between these children and made it easier for them to initiate relationships with other children in the class. Through reading the family books, the teachers get ideas about family experiences, traditions, and cultures that can be incorporated into the life of the classroom with the support of the parents. Showing respect for and interest in the families helps everyone-children, parents, and teachers develop trust in each other and in this new experience. I hope this idea takes off; as I said, I think some insight into the interests and ideas of all our kids in care might be had through such a project. And I don't doubt that new insight into our own kids opinions and beliefs would also follow from constructing one of these with the family! I for one am looking forward to the results. I like this idea a lot. When parents are on duty we can even take some time with our child to work on the book as "just the two of us" time, which Meaghan encourages. I'm at a loss though of how to print pictures! Kris would you like to start one for your family and show us how it works?